Don’t just “get a printer,” get the right laser printers for your Dallas, Fort Worth business. We all need to print documents – invoices, marketing materials, contracts, or simply to read without having to look at a screen. But, just because it’s easy to acquire laser printers, doesn’t mean that it’s easy to find the right printer for your business. Datamax proudly offers award-winning, high-performance black & white and color laser printers in Dallas with a full range of speed and capacity. Our Dell, Lexmark, and HP printers deliver one of the industry’s lowest total costs of ownership (TCO) and provides toner costs that are often substantially less than those of competing manufacturers. 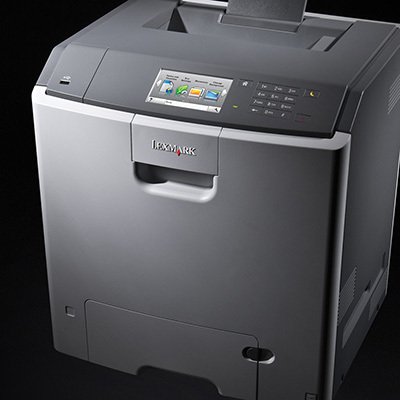 Datamax provides laser printers for all types of environments – from small workgroups to large-scale enterprises. For larger printer fleet requirements, consider first engaging Datamax for a print assessment or a more exhaustive print audit to help you establish the right plan for fleet deployment, print control, and print cost reduction – right from the start. 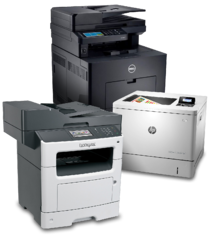 Contact us to learn more about our inventory of Dallas laser printers, HP Printers, and our least-cost printing approach today! From your desktop to workgroup to the office – printers aren’t all created equal. A print assessment can ensure that you don’t over or under provision your dedicated print needs.